The decidedly damp weather here hasn’t stopped the flowers being spectacular and, whilst the giant sunflowers have not fared well, the lemon “Vanilla Ice” sunflowers from Sarah Raven have been delightful. They haven’t needed to be staked and the wildlife love them too. 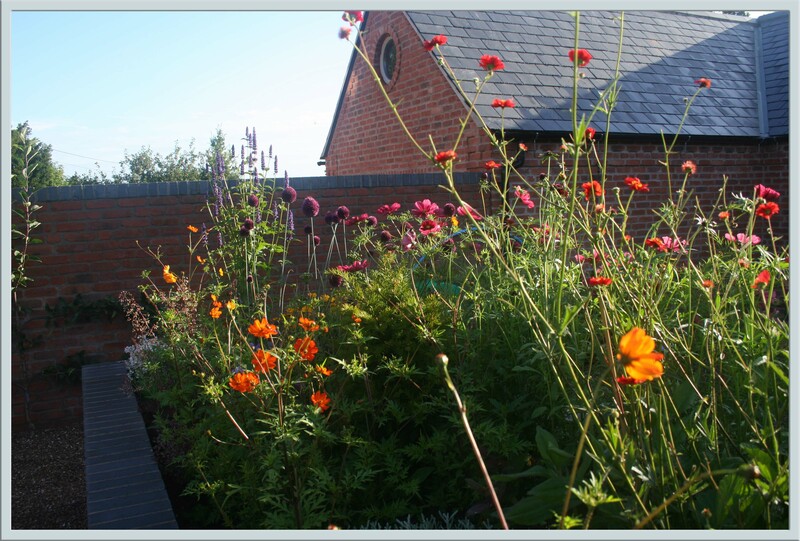 There are lots more butterflies around now and the bumble bees and honey bees are having a party in the nectar bar! I love to listen to them as I dead head the flowers. Aren’t nice garden surprises great? 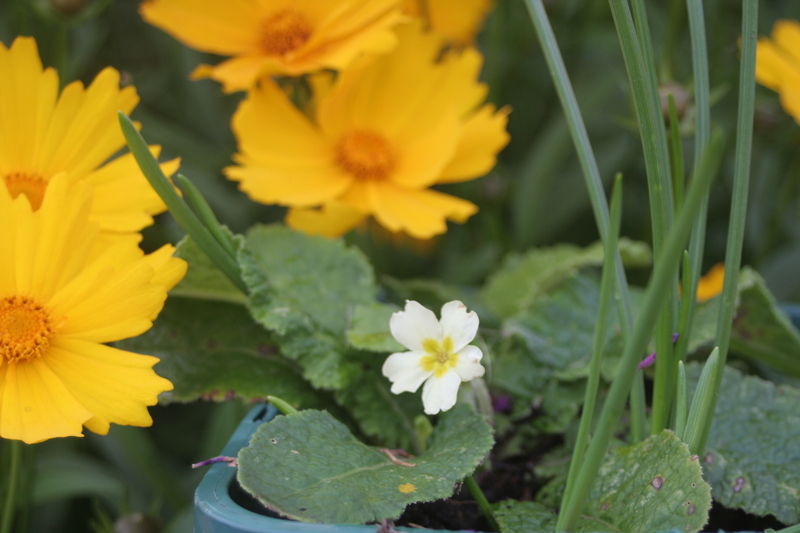 It made me smile to see this little primrose flowering underneath the Coreopsis. Maybe it thinks this milder weather is the end of Winter!! 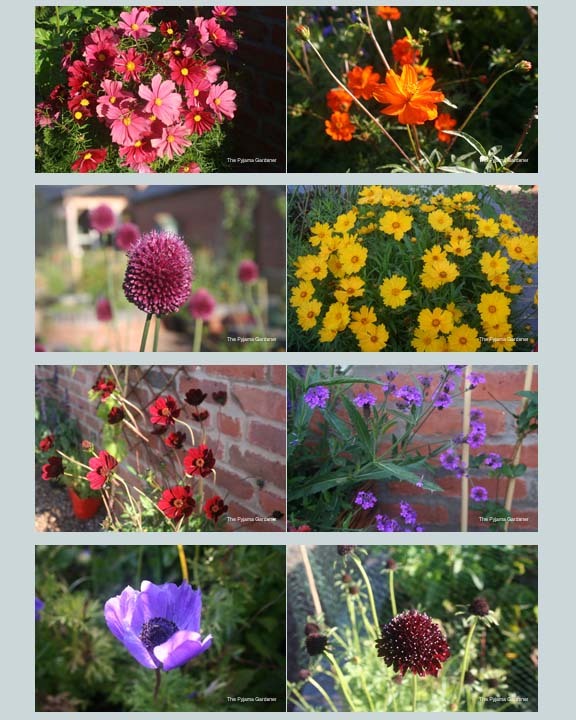 It was quite a timely discovery as I’d not long visited wonderful blog of Gardening Nirvana where Alys has found a few surprises of her own. 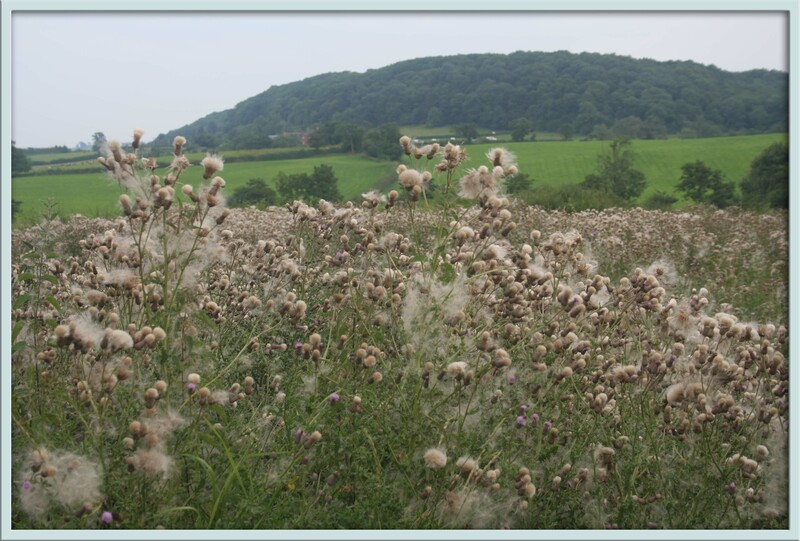 It seems many of us experience the unexpected flowers that have seemingly been planted by birds… or fairies!! Autumn is coming…. and I’m so excited as this is my favourite time of the year. 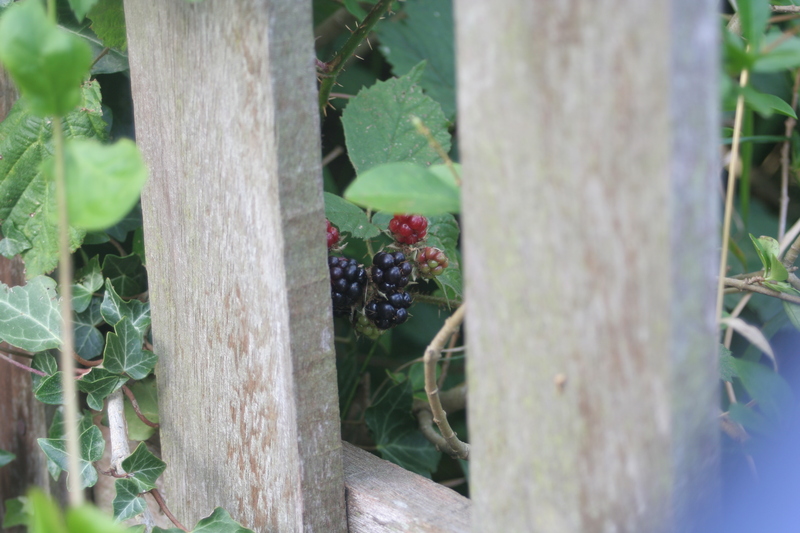 There’s something in the air now, the garden has a slightly different feel and when I came back from shopping yesterday I saw my first glimpse of blackberries! I’ve been toying with the idea of taking cuttings for a little while now but, being such a newbie, I thought I’d do some research first. Wow! 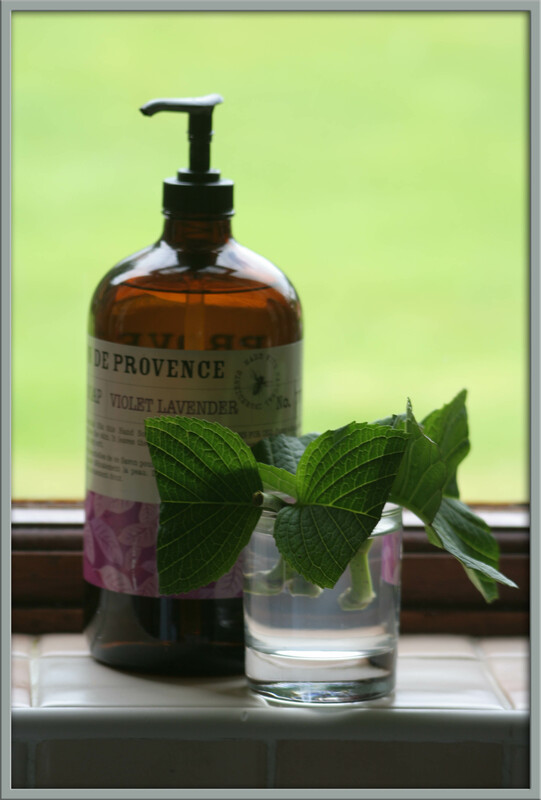 There are so many different ways and times to propagate… my brain started to whirr and I felt trepidation (not good) so I decided to keep it simple. For hundreds (if not thousands) of years people have been taking cuttings, saving seeds and dividing plants to make more. They didn’t have fancy equipment, hormone rooting powder or the internet to help them so… deep breath… I decided to give it a go! 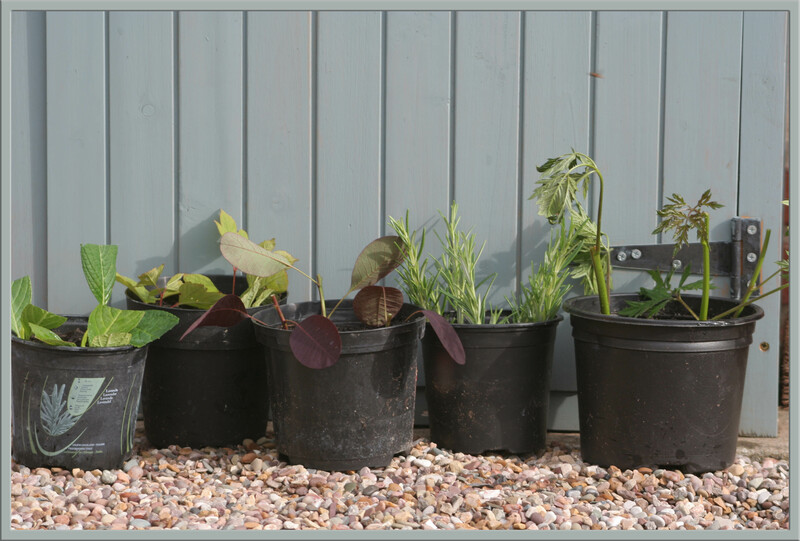 The selection of plants above all grow easily in my garden and have, so far, survived my attempts to prune them. 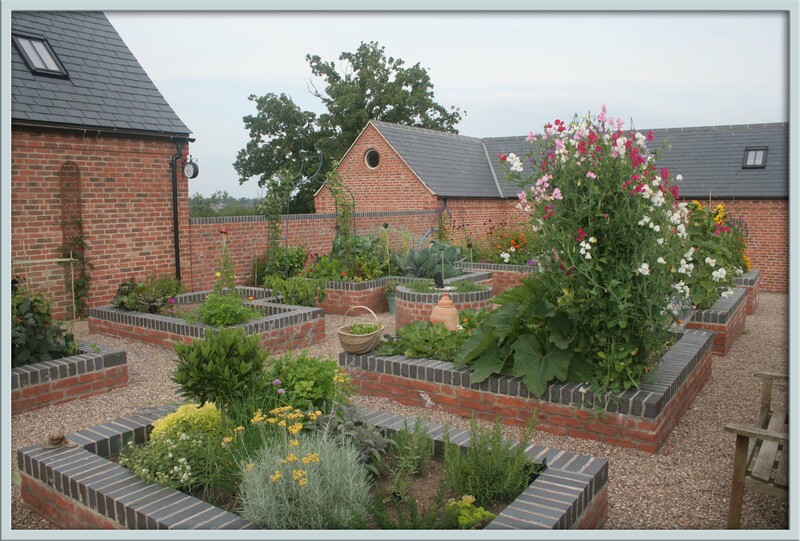 Experienced Gardeners – Look away now! 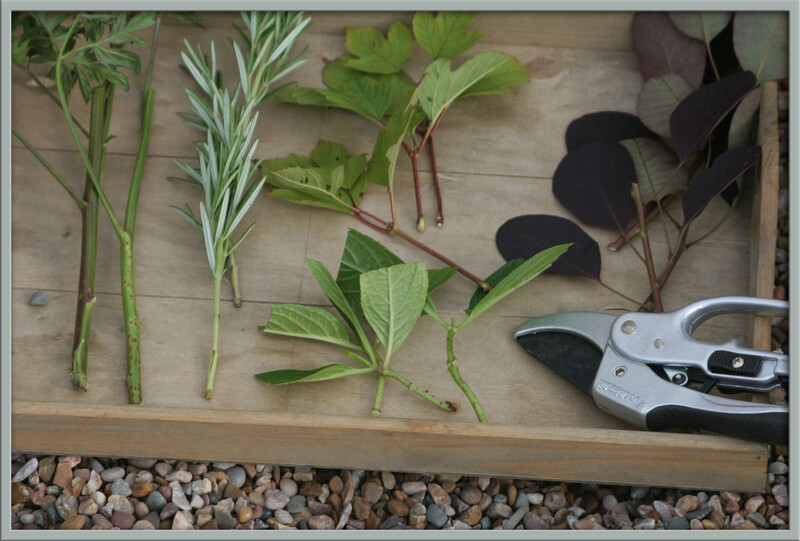 All I did was cut the stems with clean secateurs just below a leaf node and removed most of the lower leaves and top growth. 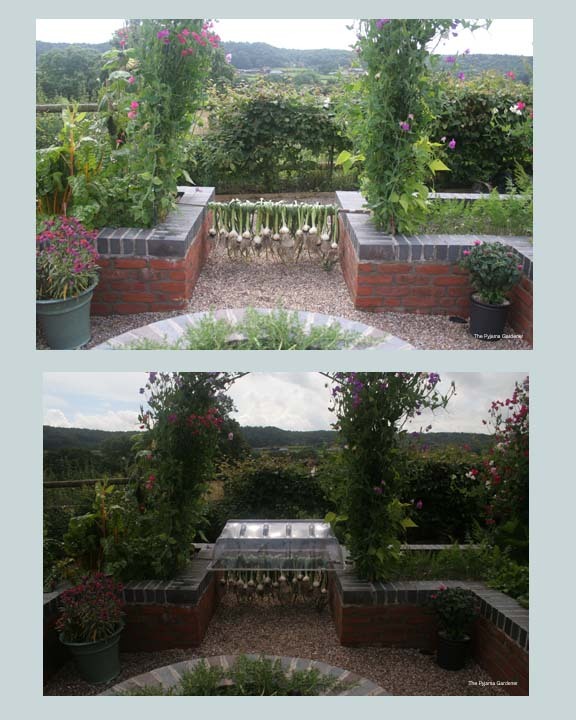 The prepared (very loosely used term) stems were then planted into a mixture of fresh compost and fine grit, put in a sheltered, bright location, watered and misted with water. They were then all given a little chat about “you may feel worse before you feel better” and I guiltily left them to it! I hope that they won’t die but the Smoke Bush cuttings are already looking sick. So, I now have 3 small hydrangea cuttings in the kitchen by the sink and I’m impatiently waiting for the first little signs of roots. Come on!! It’s been 12 hours already!! Before you arrived I’d spent many long, enjoyable hours drooling over seed catalogues, reading blogs and researching planting methods. 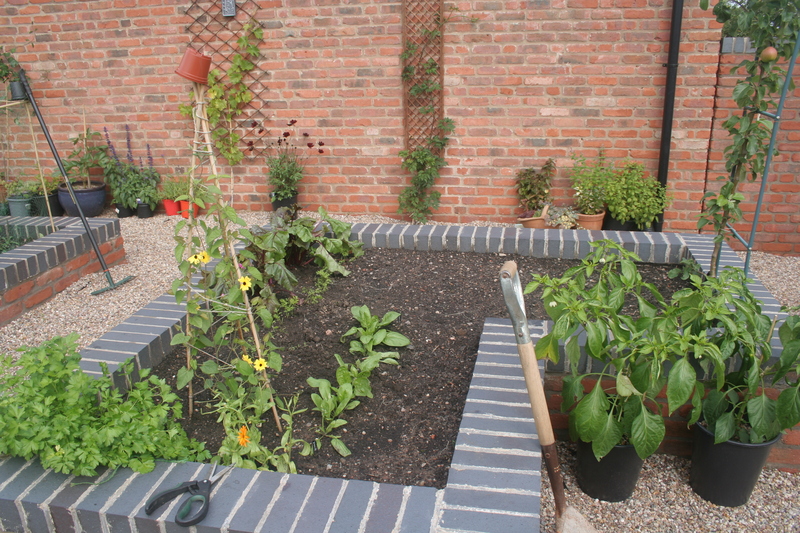 The Kitchen Garden garden was everything I dreamed of and once the raised beds were completed it seemed the most natural thing in the world to want a blog of my own. Brand new and ready to plant! It wasn’t as scarey as I thought. My main reason for bringing you into the world was to leave a little piece of me behind. I wanted to record a small part of my life, not for glory or recognition, but just so I can look back and smile at all the good times. None of my family or friends know that you exist… your my perfect secret. Only my gorgeous husband is aware. I think when you’re a little older I’ll introduce you to the clan but, until then, I’ll nuture you some more and enjoy our secret. Six months on and look how much has grown! The best thing about you being in my life is that we are in touch with people from all over the world… when things have become a little strained (you are good most of the time but occasionally I wonder what I’m doing) a comment pops up, warms my heart and I’m ready to carry on. What a lovely bunch of people. Here’s to your next six months dear blog! The garden feels calm and quiet at the moment… it’s as if the plants know they’re at their best, and rather than shouting about it, they’ve decided to take a bow. If this was the Gardening Olympics my plants wouldn’t have a chance at a medal… but I’m sure they’d have the best fun taking part and partying with the big guys! The applause would be coming from the bees – deafening at times but certainly most encouraging. 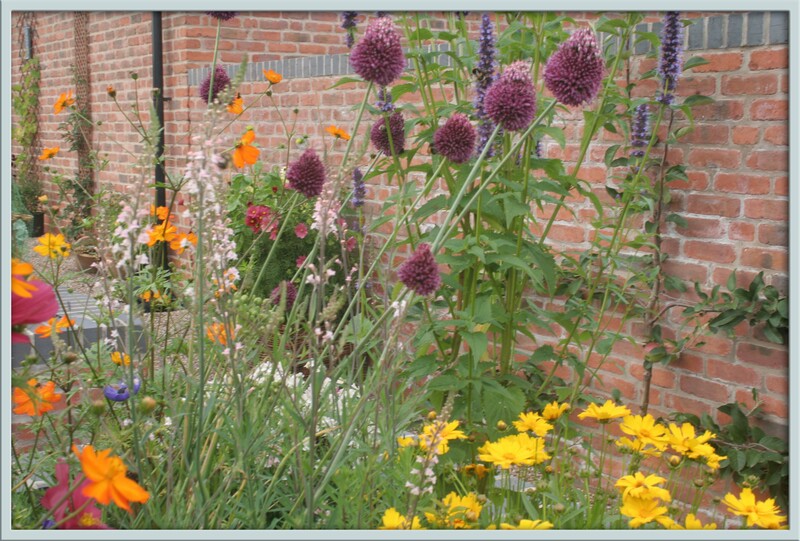 My biggest joy is seeing the huge variety, as well as large numbers, of bees and other wildlife in the garden. In the quietness I think about how my home has continually had cut flowers since February when the Hellebores were abundant and how I’ve been eating, and enjoying, broad beans! 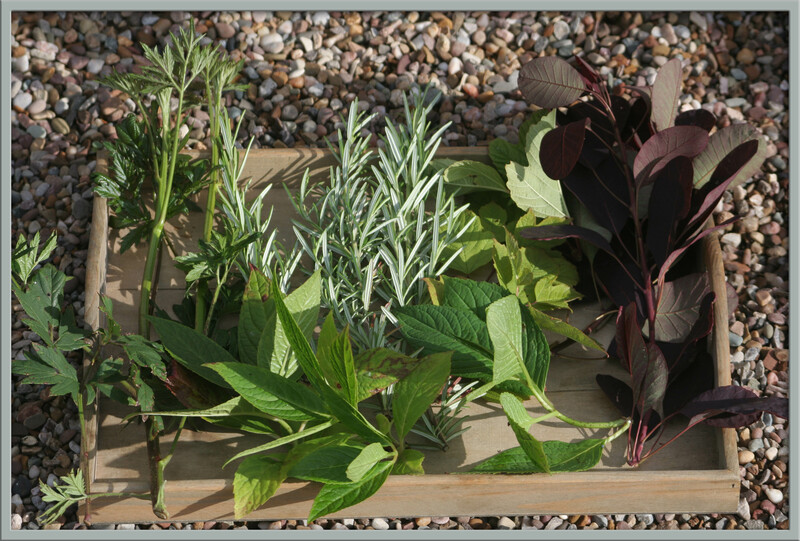 My garden is my meditation and it’s whilst I’m in this chilled out mood that something hisses and spits at me – I nearly jump out of my skin…. It’s a Farm Kitten. He’s adorable, so fluffy with the bluest eyes I’ve ever seen but when you get too close he’s a little firework! 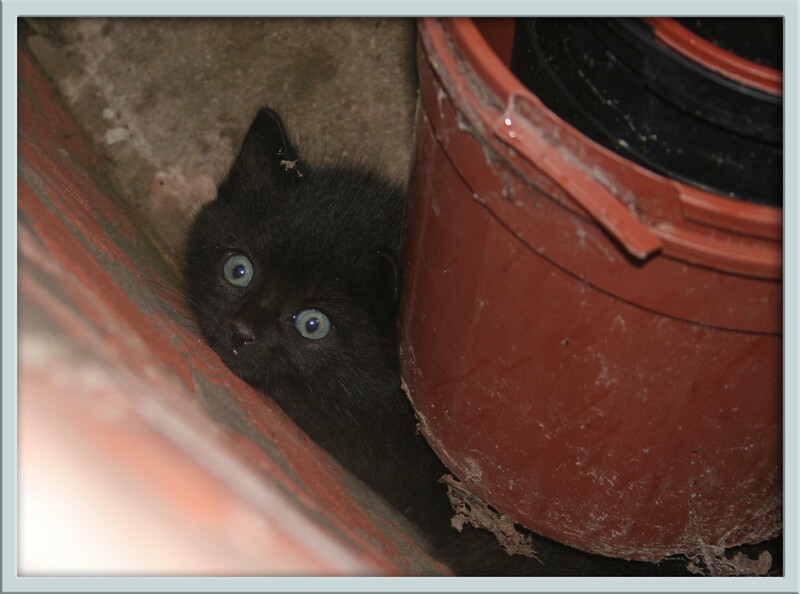 This is a bit of a problem as he’s taken to hiding behind plant pots and under the hedges. He’s definitely feral and not to be trifled with… he’s also a ninja in training. His mum must have jumped over the fence with him and she keeps popping back to make sure he’s alright – we’re hoping that he’ll jump back out when he’s old enough! 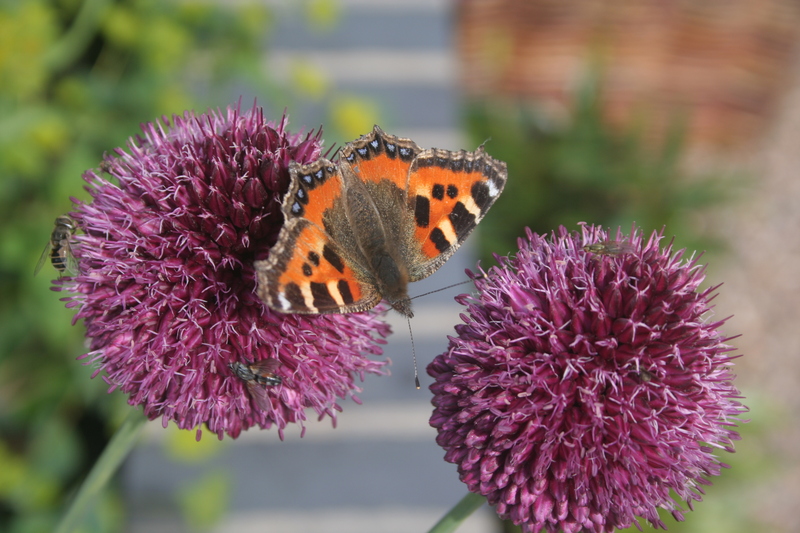 There are scarier things to worry about though – the thistles were left to flower as the birds (especially Goldfinches, Linnets, Bullfinches and Siskins) love them so much. Look at all the thistle down! If Womble is as hard as he looks I’m sure that he will eat thistles for breakfast 🙂 Otherwise my weeding regime may have to triple next year. 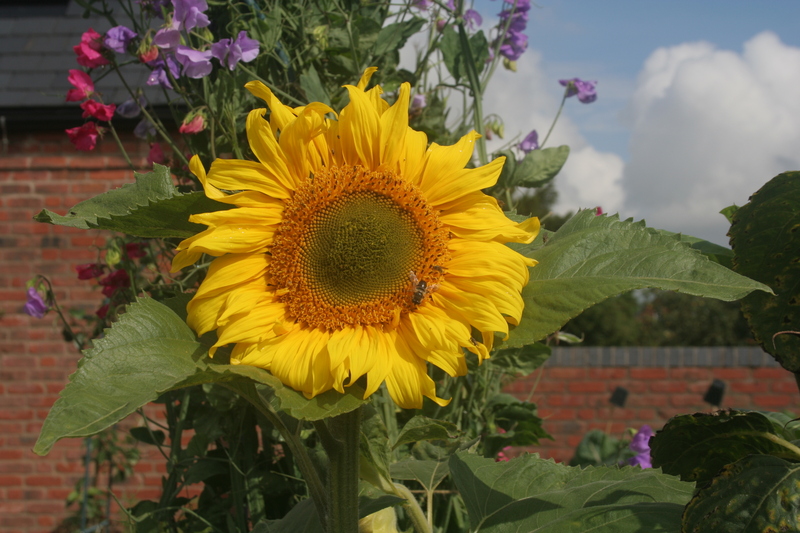 The sunflower below popped up as a surprise a couple of months ago – I think a bird must have planted it (although how he managed to handle the trowel is beyond me!). It’s so pretty and seems far more robust than the ones I planted. The other good news is that the butterflies are starting to emerge and I’m trying really hard to photograph them. I’ve given up hopping around like a mad woman and I just stay still and ask them to come to me (not that this approach helps much either!). There are a loads of Cabbage White butterflies desparately attempting to break through the net on the brassicas to lay their eggs… but even they were too quick for me to clearly photograph. I’m pleased to say that the Tortoiseshell Butterflies are the divas of the butterfly world and didn’t seem to mind the camera. They love the nettles that grow in abundance around my garden – I’d noticed a few holes in the nettle leaves and hoped that the caterpillars would soon be butterflies. British butterflies aren’t very exotic but they certainly are pretty. I’ll try to photograph some of the Peacock Butterflies we have but they don’t tend to hold still when I ask them to so I’m left wondering…. do butterflies have Ears? Moving on, the tips of the garlic had turned yellow and were looking rather scruffy so they were dug up and left on a wall to dry. Just as I’d finished tidying the bed the sky grew darker and I could hear thunder in the distance. Worried that the garlic was never going to dry I hung it over an old rake in between two low walls and covered them with a cloche. My fiendish plan seems to be working – the air is circulating around the garlic and the rain is being held at bay. 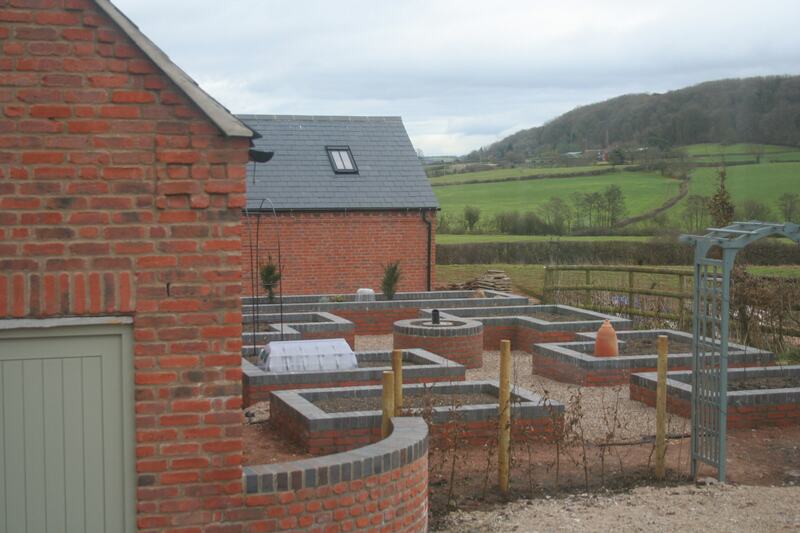 The cyclical nature of gardening means that as one job is completed another begins. And the big question I have at the moment is…..
…. what on earth shall I sow in this bed now that the garlic has gone? 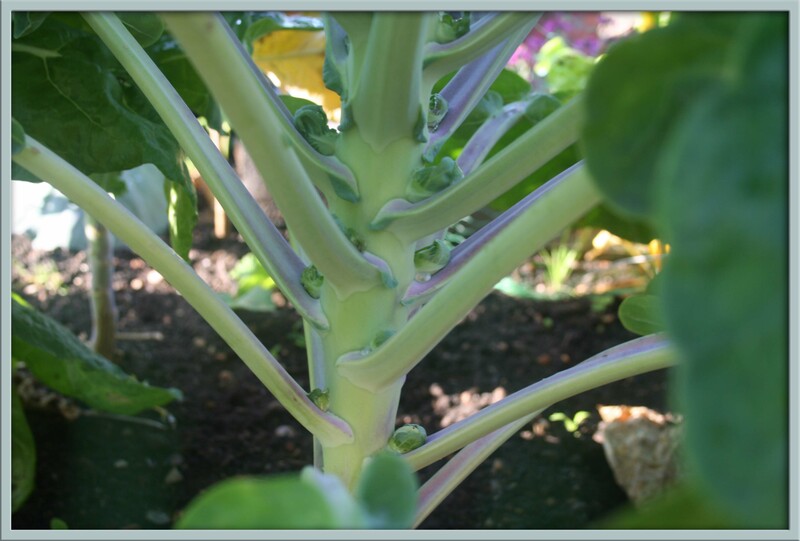 I’ve never grown Brussel Sprouts before and I must confess that I’m as thrilled as any woman in pyjamas could be! The sproutlets are starting to appear and I’m already hoping that they’ll be a success story this year. Brussel Sprouts are probably the most hated vegetable ever… and I once thought so too. As a child I was made to eat ALL my vegetables. The concession with sprouts was that my Mum allowed them to be covered with any condiment to make this happen. I favoured vinegar, holding my nose and not inhaling for a loooong time. Once I left home I realised that if brussels are eaten whilst young and steamed until they are just cooked they are quite good. I also found out that if they are stir fried with a little ginger and garlic… they are fabulous! Elsewhere in the garden the Borlotti beans aren’t doing very well. I’ve counted three pods so far and it looks as if I’ll be using these as a garnish! 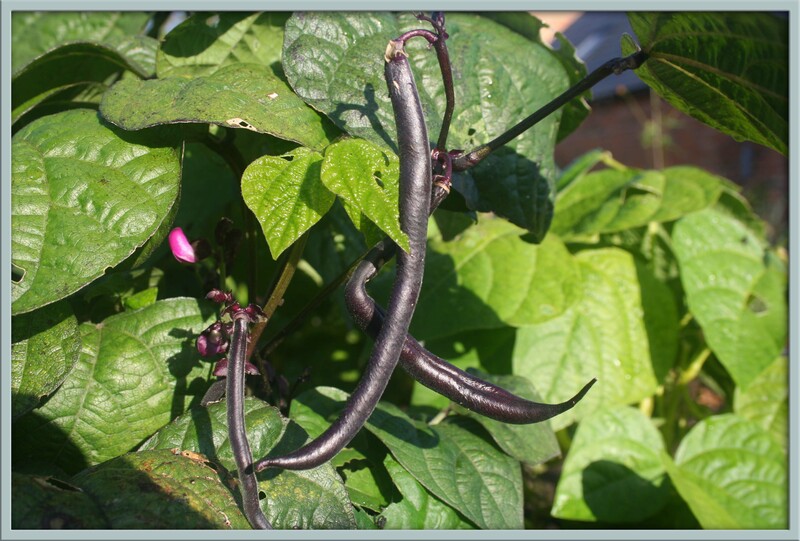 My disappointment has been minimised though because the dwarf french beans are looking fabulous! I have both purple and yellow varieties and I’m looking forward to a taste test very soon. 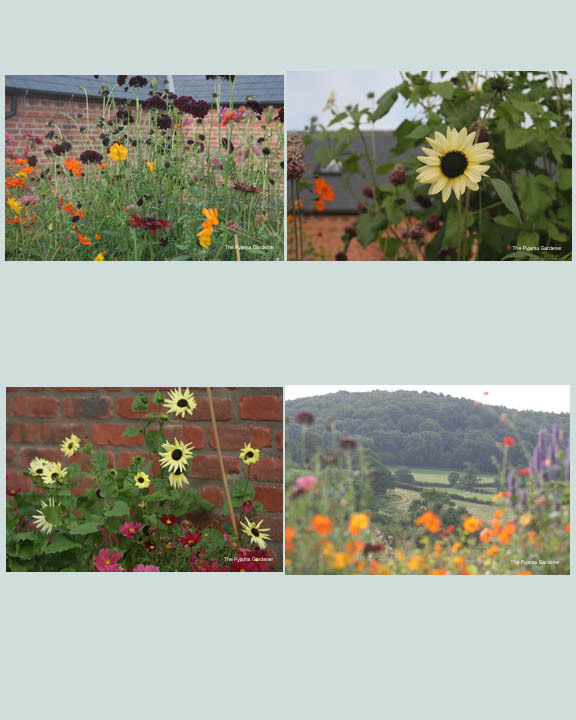 When I planned the garden at the start of the year I imagined that it would contained mainly vegetables with about 25% flowers to attract the pollinators. 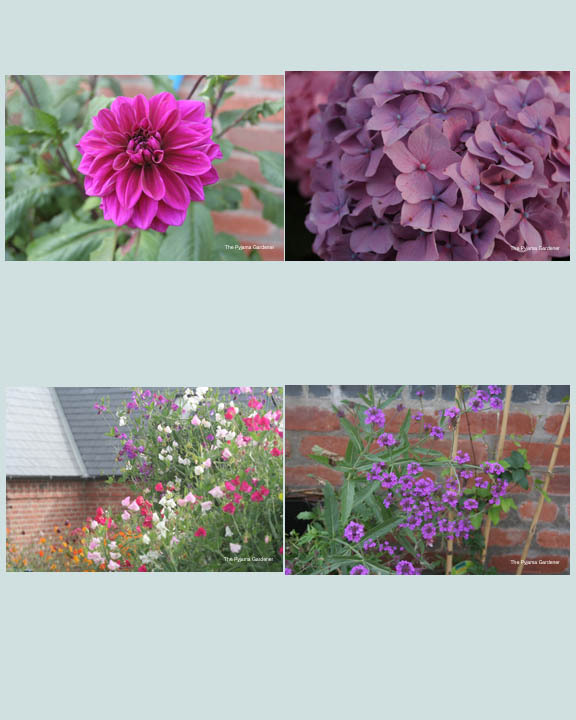 What I actually planted is approximately 50% flowers and I have the urge to grow even more. I am thinking already about having a proper cutting patch next year so I can free up more space to grow vegetables. I love having fresh flowers in the house and being able to give flowers away to other people! Just like me, the bees and butterflies are somewhat camera shy… I’ve realised that as soon as a camera makes an appearance the wildlife seems to zoom off. 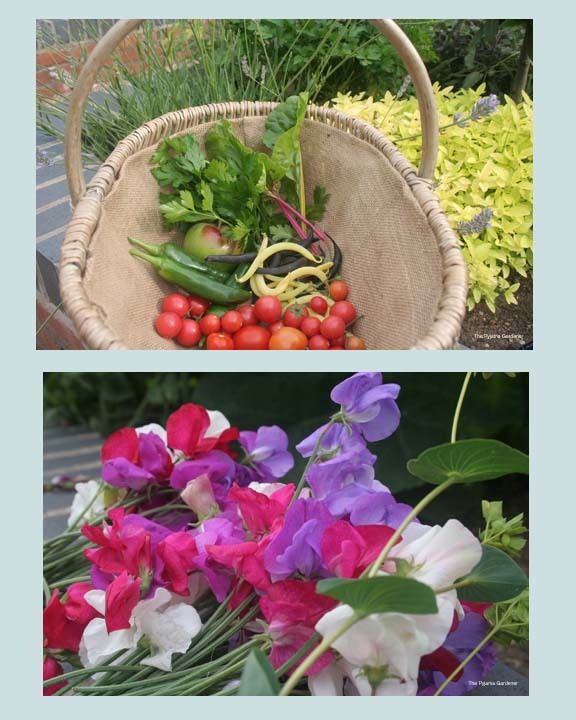 I have to practice the art of patience and just be still for a while – a lesson for life as well as gardening!